﻿ L'Alya Ninh Van Bay, Nha Trang | FROM $282 - SAVE ON AGODA! 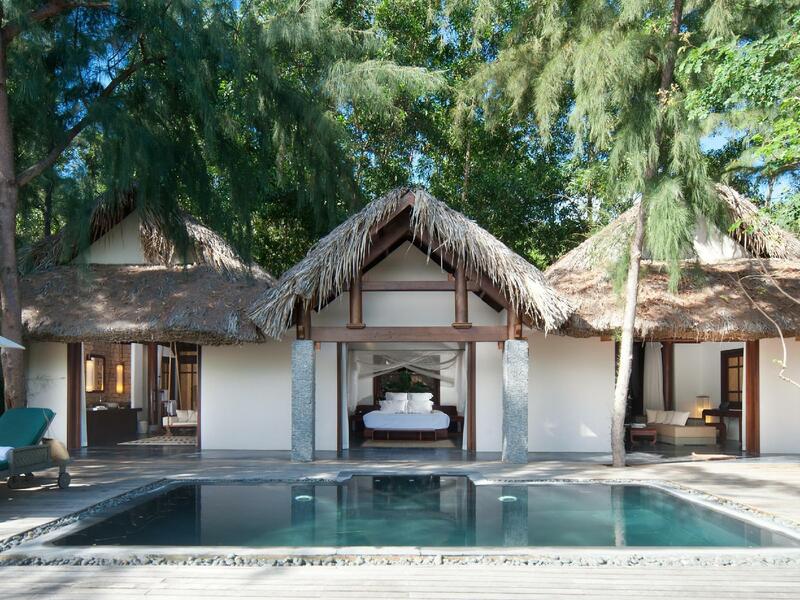 "This place is awesome, while the price of the villas are a l..."
Have a question for L'Alya Ninh Van Bay? "This place has beautiful nature sight"
"(butler)service, Nespresso (what else....), friendly staf, good restaurant (great variety Asian/Western food), great wines and drinks." 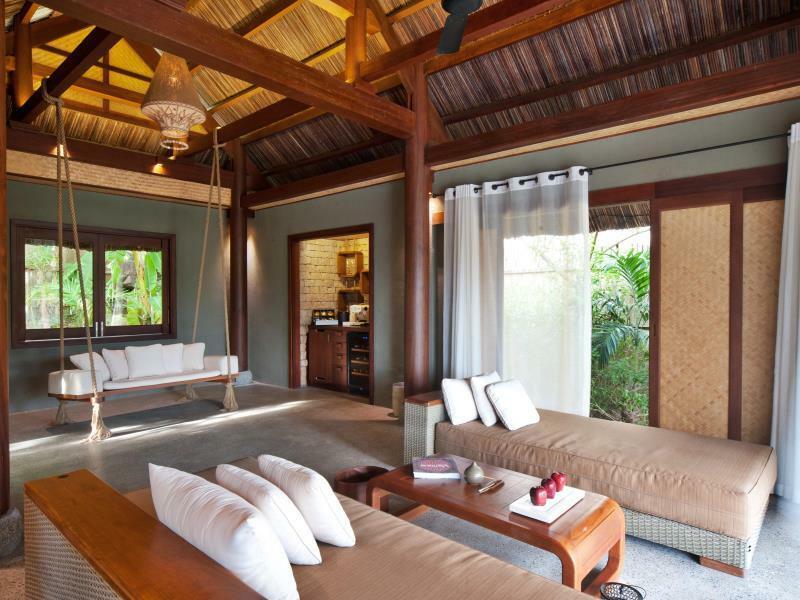 "Beautiful clean and spacious villa, firm but comfy beds, per..."
Every one of the 33 pool villas at L'Alya Ninh Van Bay are spacious and beautifully appointed with guests’ comfort in mind. 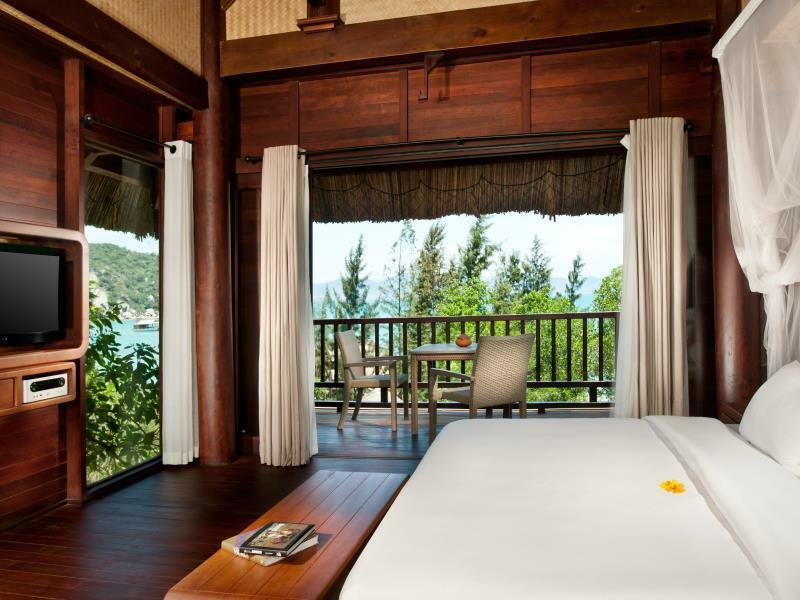 The beachfront and lagoon villas are set in exclusive waterfront locations with stunning views over the lagoon and Ninh Van Bay. An open-plan layout is designed to take full advantage of the spectacular views and create an inviting indoor/outdoor ambience. 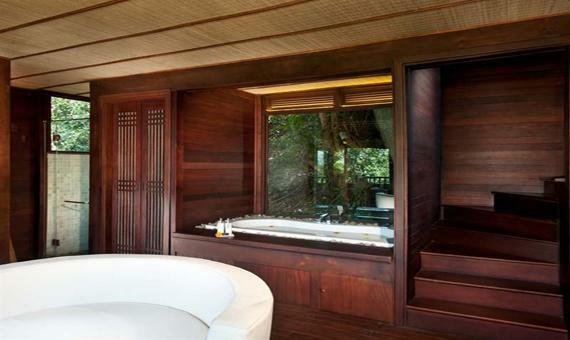 The elevated and private Hill Rock Pool Villas offer tree-filtered ocean views and a luxurious tree house experience. The three-story layout provides a spacious sleeping area with king-sized beds high in the tree canopy as well as a large entertaining deck and living area where you can enjoy a private dinner cooked by your personal chef. 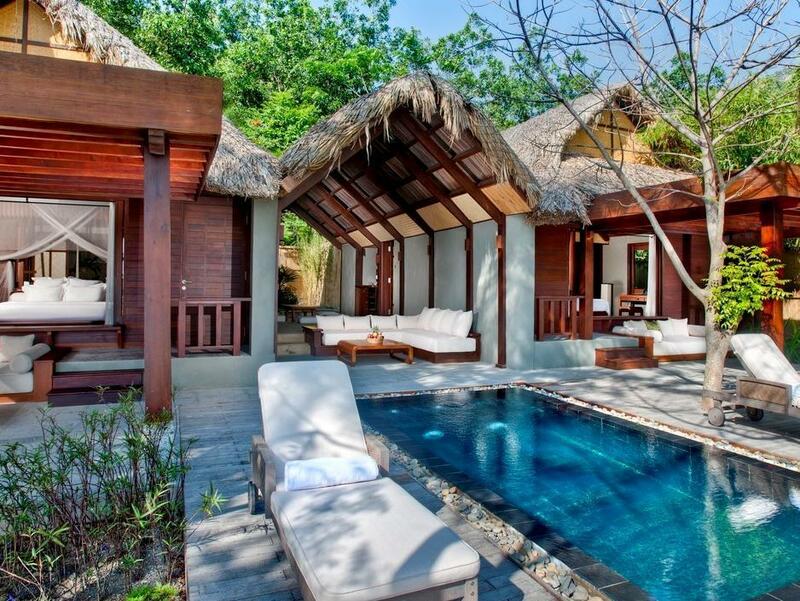 Each villa has a personalized butler service to attend to your every whim while rooms are fitted out with every modern convenience including iPod docking stations, wireless Internet, and high definition televisions. You can while away the hours in the hammock or sun lounge and discover how quickly you can adapt to the life of a true epicurean. Please note that small children are not advised to stay in the Hill Villas due to their setting on a steep hill. For early check-in before 6:00AM or late check-out after 6:00PM: 1 night charge. For early check-in after 6:00AM or late check-out before 6:00PM: 1/2 day charge. To reach the property, a compulsory boat transfer needs to be arranged. Kindly contact the property for more details. Airport transfer is available at an additional charge. In order to reserve the transfer, please inform the property of your arrival details prior to arrival. Maximum 2 children under 12 years of age are allowed in Lagoon Pool Villa, Beach Front Pool Villa, 2 Bedroom Beach Front Pool Villa, 2 Bedroom Lake View Pool Villa. Children 3-11 years are charged directly at the property for addition services including breakfast and sharing existing beds. A complimentary boat transfer service is available only when guests check in from 2:00 PM and when guests check out before 12:00 PM. Additional charges will be applied if guests need the service before check-in or after check-out time. Kindly contact the property for more details. Airport transfer is available at an additional charge of USD 82 per 2 adults. This was an amazing place to just chill out and relax. We stayed for 3 nights in a Hill Top Villa with our own pool after a very busy 2 weeks touring around and we just needed to relax and do nothing other than swim and be pampered. Our villa was gorgeous and the pool was exactly what I hoped for. All the staff were beautiful and everything went like clock work from our arrival at the Lounge to the boat ride over and back and everything in between. Our only regret is that we didn't explore enough! Beautiful clean and spacious villa, firm but comfy beds, perfect (butler)service, Nespresso (what else....), friendly staf, good restaurant (great variety Asian/Western food), great wines and drinks. Perfect! Love this place. My second trip there (although it has rebranded since last time). Rooms, service etc were great. Great beach. Staff excellent. I could nitpick and say that I personally preferred their old style unlimited-menu ala carte breakfast to the buffet, but there was nothing wrong with the buffet. My only actual piece of feedback is the return boat scheduling. You are either out at 12, or you are up for $70 one way back to the mainland. On a Sunday afternoon, people would have much rather stayed on the beach (and spent more in their restaurants and ordering drinks by the pool accordingly) than head back at noon. A $70 boat is makes it a ~$120 afternoon by the time I eat and drink - and that wasn't worth it to me. If there was a second boat (or even a reasonably priced boat) I'd have ended up spending more at the resort and would def have preferred that to an afternoon in Nha Trang city - where ironically i ran into others from the boat killing time at Sailing Club. Excellent service ever! The villa is not really convenient but they provided limousine and speed boat service upon request. The butler was very helpful. He tried his best to do our request. Highly recommend for relaxing vacation. Although there is a lot of mosquitos and worms, they have insect repellent for us. Which is very thoughtful. We had the most amazing 10 days at L'Alyana during the X'mas and New Year periods. The resort is located in the secluded island away from the mainland (about half an hour drive out of Nha Trang and another 15 minutes on the boat to the island). The location is absolutely beautiful, clear sparkling blue water and surrounded by the green rainforest. Our lagoon view villa was perfect, it was so huge and well equipped. Comfortable bed, clean linen and lots of coffee was a bonus. The outdoor bathtub was great. Staff is what makes this resort, service is impeccable- nothing is ever too hard. Our butler Dao is fabulous, her colleague Truc was lovely as well as the restaurant staff Tien were all great (they all deserve a mention but I couldn't remember all the names). I'd recommend the resort if you are looking to retreat, for a place to relax and unwind. But if you have children and planning on long stays this may not be ideal, there's nothing for the young kids to do. We got a free upgrade to Lagoon Villa which is very nice experience! The staff and our butler are very friendly and helpful! 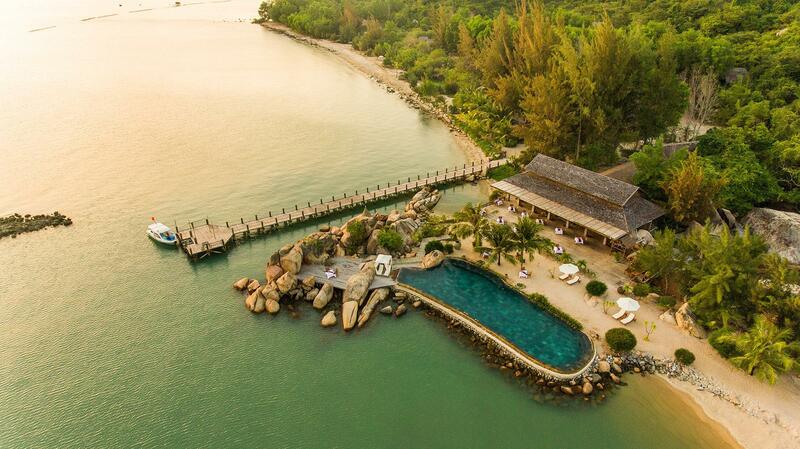 The resort location is on an island which need ferry to reach. You need to follow the schedule strictly if you want to go to the mainland, otherwise you need to pay 70 USD one way. This is pretty expensive and inflexible. Other than this problem, the resort is fantastic in terms of overall experience! I was exhausted and really needed a getaway before my visit to an lam ninh van bay. Needed to go somewhere where i can just be alone yet relaxing and healing. It was my very first time in Vietnam and Nah Trang. My flight was landed close to midnight and i was being skeptical about whether i made a right choice or not by comin here till i arrive their welcome lounge. It just felt right from there and I absolutely loooved it when I arrived at my villa after 20 mins of speedboating. Everything was just right. The choice of villa (hillrock for privacy), the quietness, the nature, the hospitality, the food and so on. After 5 days of heaven, I'm back fully recharged. Highly recommended and you will not be dissapointed if the concept of your trip is healing and recharging. The views from the Villa and in the common areas were magnificent. Food was above average and service exceeded my expectations. The villa though were not as well kept and clean as I thought it would be given the price. Insects, creepy crawlies were everywhere! That would be something difficult to prevent because of its setting. Overall, a wonderful experience, a great place to getaway, to be left alone, to enjoy the peace and serenity of nature and to escape from the hustle and bustle of city life. Well done to all the staff of An Lam Ninh Van Bay Villas! It was a great stay, they pick you up from the city and send to the resort by a speed boat. and there are staff to welcome you at the resort. We were welcomed warmly and it was being showed that each guest comes to the resort are unique and special for them. We had a personal butler service and she was great, helpful and caring. Room was great, as well as the restaurant. food was delicious. same goes with the view from the room. Overall it was a great experience, and we will defiantly go there again. Our hill rock villa is very big,there are 3 rooms, a garden and a private swimming pool with a big deck.We were pretty amazed by all the features with such a good price. It even can compare with the hotels in Maldives apart from the beach. Good value for money. We did not want to leave so we extended for another night.Staff was extremely helpful.Amazing views. We did not explore the grounds so much because we were so content with just relaxing within the confinds of our beautiful villa. We stayed for only 4 days at the resort, in a Lagoon Villa. Te weather was not the best but we didn't let that cloud our opinion of the resort. It was absolutely great. The attention we received from the staff, especially our personal Butler, was excellent. Nothing was too much trouble. We stayed over Christmas and, although the weather didn't help, the hotel staff tried really hard to keep the guests happy. The food in the restaurant was excellent. Each evening we were invited to "Chef's Cocktails" in the Fire Bar, which wasn't just a glass of bubbly, it was free-flow. We couldn't find fault with the resort. 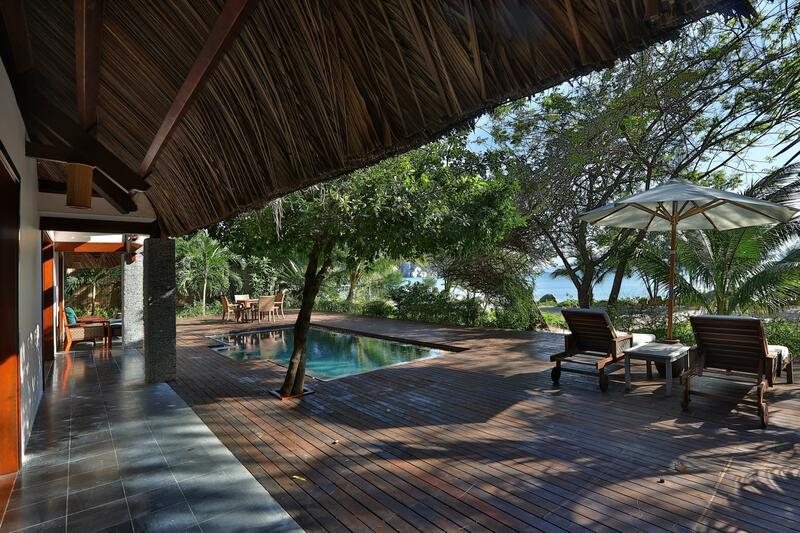 We stayed 4 days and 3 nights at Lagoon pool villa. 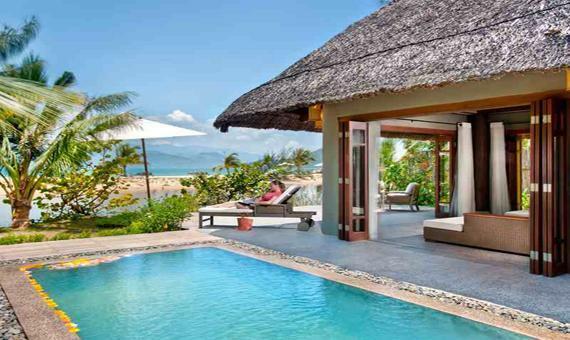 This villa keep the privacy stay perfectly. Also all food we ate fully satisfied us (The cost of food & drink was around 200 usd per day). Especially private BBQ service was very wonderful, we used this at pool deck w/ efficient price. We didn't feel any idea to go outside of this villa, because we took the enough relaxation inside our unit and private pool. Stayed here for one night. Loved it. If anything could be improved, perhaps the food could improve. It was good but could be better. Overall we had a great time and all the staff were very friendly. Live music in the night was great. The complimentary hiking in the morning was fantastic. Also loved the fact that you get to take a boat out to the island which adds something different to the resorts that are situated on the mainland. We spent 3 days in a villa by the sea with our 15 years old boy. It was great to have some rest by the sea far from noise and pollution. If we had to spend more time we would have choosen main land as there are more activities to do with kids and a lively night life whereas on the island there was not that much to do after dinner. Overall a good stay. Staff very friendly. Great food. - We were first given a villa which was very apparent that it had not been in use for some time - from dead bugs and spiderwebs and rusty light switches. Their excuse? "Due to ongoing renovation. " Why are they selling 'products' that are not 'products' even by their admission?? They did apologized and changed to another villa after hours of waiting - and that was it.. - Dining experience - COEXISTENCE with FLIES throughout. Stale coffee (brewed days before) - Renovation (out of the blue): Trucks unloading various materials and emission of unpleasant gases. - Very very tiny main pool with not very clear water (same goes for the private pools) - View was honestly ugly. Lagoon is very small and the garden was destroyed by storm.. but yeah everything was 'business as usual' for them. Dear Ms. Sanghee, We prepared our detail explanation but Agoda only allowed to write about 500 words. So we shorten it. Our sincere apology with what had happened. We unable clean on time as the normal check in time is 2pm but you arrived at 10am on high occupancy period. Regarding the flies, that was the season but we have pest control to fumigate daily basis. About the coffee, maybe you tasted Vietnamese coffee which you’re not get use to. We use Robusta Arabica beans, we NEVER brew our coffee a day before. We only have 1 truck in the island use for landscape. The tiny pool that you mentioned is more than enough for our resort size as we only have 33 villas and all our villas are with private pool. So most of our guest they prefer to use their villa private pool & the main pool in front the restaurant is hardly use. The ugly view, different people see differently but we have so many guest who commented that this resort is paradise! And yes indeed, the business is back as usual now. Beautiful and quiet island. It's perfect for couples, there are lots of activities you can share with each other. Very nice staffs, I love the butler of my villa (each villa has one butler). It's a great combination of forest and sea! So valuable and unforgettable 💕 next time, I will come back.